Mobility and Convenience! Pot-O-Gold’s High Rise / Roll Around Porta Potty rental option is designed specifically for high rise construction. 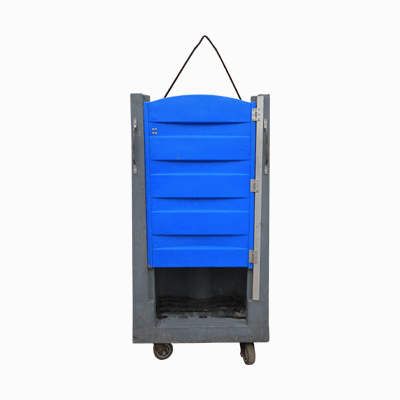 Equipped with a steel sling and locking casters, our roll around portable toilet can be lifted by crane or elevator to the highest of construction sites. Services provided by Pot-O-Gold are performed by professional technicians using the best equipment our industry has to offer. Our porta potties undergo our amazing 7-Point Service Plan to ensure your porta potty rental arrives in pristine, like-new condition and is kept that way throughout the duration of your project. We recommend (1) porta potty per (10) people.